I turned right instead of left when I walked out of work this evening. It is a welcome oddity that I finish at 7 on a Sunday. It is made even better by the light; the long evenings coming in. I used to laugh when my Grandmother would say that; I’d begin mentioning it once the shortest day of the year passed on December 21st. Now I know the feeling; the end of winter, the sign of hope, the beginning of something fresh. 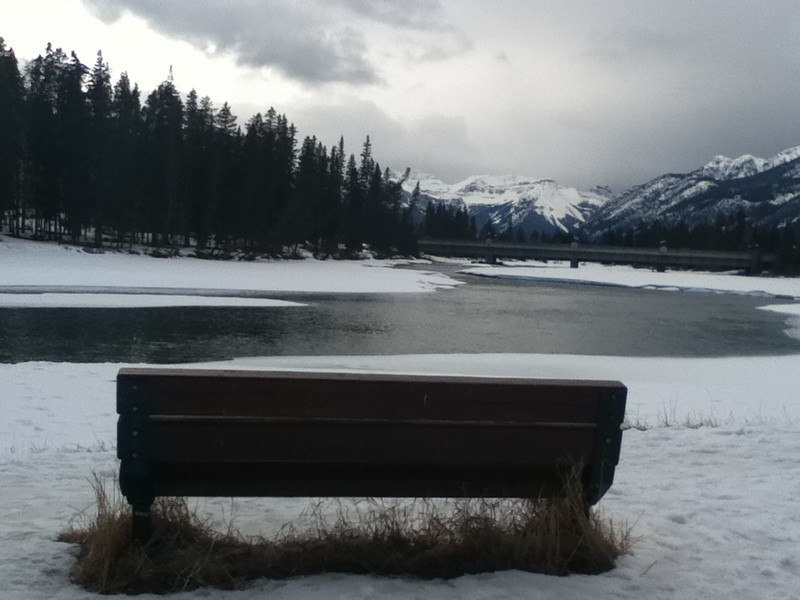 In Banff, the snow is melting, leaving slush and ponds of water across the sidewalk. It is getting warmer and I only wear my snow jacket skiing now. The streets are getting a little busier. New staff are coming and old staff are leaving. It is the unplanned that can amaze us, the simple act of walking home a different way, a longer way, that can find us amidst nature and love unexpectedly. It reminded me of where I am, right here, right now. It reminded me that the best things in life are free. I walked home with a spring in my step and took off my wet boots, feeling more energised than if I’d come straight home. When I looked out the window, it was snowing.